The 8 Litre was W.O. Bentley’s finest grand tourer. 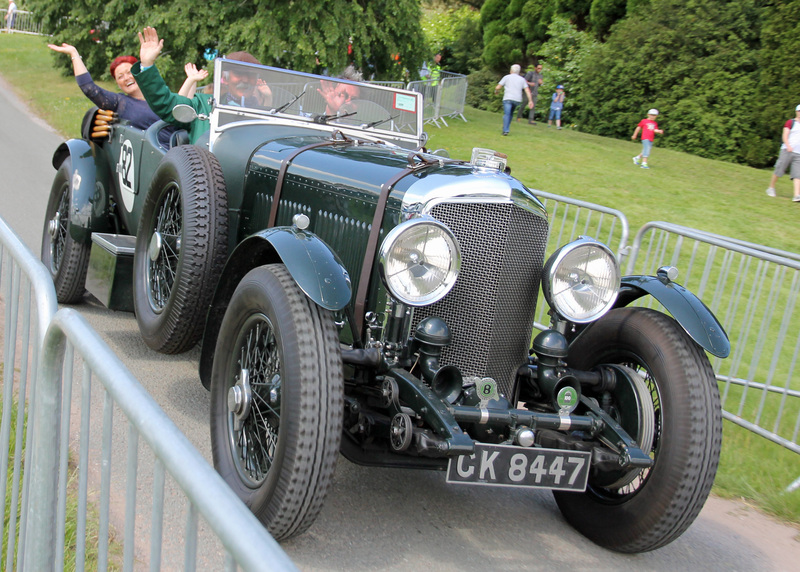 It was the last car he designed for Bentley Motors. Launched in 1930 it was the largest and most luxurious Bentley of its time. Its launch coincided with the worldwide depression caused by the Wall Street crash, however. Demand for the car slowed and the company encountered financial difficulties, leading to a change in ownership. As a result only 100 8 litre cars were produced of which 78 are known to survive. At the time of the 8 Litre’s launch, W.O. declared. “I have always wanted to produce a dead silent 100mph car and now I think we have done it”. Such was the power of the 7,983cc, straight six engine, that the company guaranteed it would be capable of at least 100mph, regardless of the chosen coachwork. 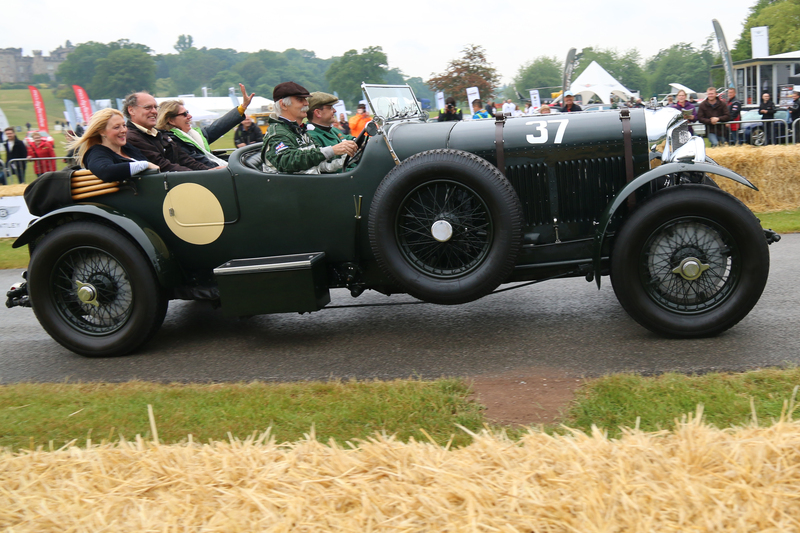 The Bentley 8 Litre had the largest engine of any car available in the UK at that time. It featured a crankcase made of Elektron, a magnesium alloy and its maximum power was between 200-230bhp, a huge output for the era. 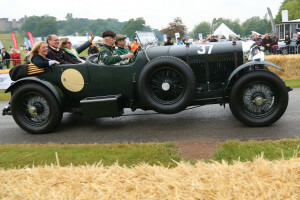 In December 1930 The Autocar recorded a half mile terminal speed of 101.12mph in a Bentley 8 Litre. Only one other car recorded a higher speed between then and 1939. 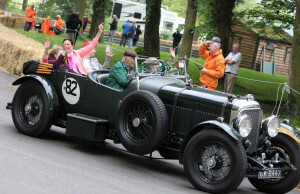 GK 8447 was built as a Sedanica Coupe de Ville in 1930 and exhibited on the Gurney Nutting stand at the Olympia Motor Show that year. The car was first registered on 4th February 1931 and sold by Jack Barclay to G.G.H. Peek. Subsequently owned by Captain Ogden (1933), J. Ruck (1934), F.L. Griggs (1936), P.B Reece (1946) and was in storage from 1946 to 1956 during which time it suffered from a fire, J. Bower (1956), J.H. Brooks (1959) who appears to have had a four seater body fitted by Edmonds Metal Works in 1961,R. Rothwell (1967), Lord Cranworth (1969) who appears to have had the chassis shortened to 12ft and a new four seater body fitted by Townsend in 1971 and G. B . Skelston (1994) who sold it to Stanley Mann who refinished it in Green and fitted cycle wings and a Le Mans tank from where it went to the Twirp garage in 2007. The car is in exceptional matching numbers condition with a huge number of original parts including the Autovac and bonnet. The car is used for local trips and rallies. In 2014 it traced the route of The Tour de France in Yorkshire including gliding over Buttertubs Pass in third gear! Stanley Mann also fitted an overdrive making 80mph cruising (at 2,000 rpm!) a doddle. With a weight of two and a half tons the car will easily exceed 100mph while carrying four passengers.